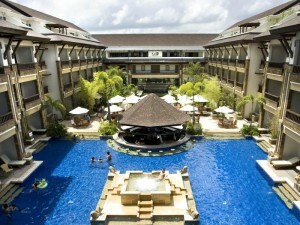 Over the last few years, Boracay has become a more notable and recognizable island vacation destination. With its new found popularity, more and more travelers from around the world are visiting, some with families in tow thus causing a strong need for family friendly accommodations that are both kid and parent approved. Luckily there are several different hotels located around the island that cater to families with both young and older children. Some of these resorts are located on the beach while others slightly removed. Some offer larger ‘family’ styled suites while others offer kids rooms, kiddie pools or kid friendly land and water activities. 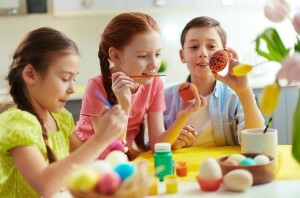 To make things even easier on parents, some resorts offer babysitting and nanny services during a stay. Though each resort is different from the next, ranging in nightly rate, location and size, all of the resorts listed below have received strong positive reviews and have seen plenty of smiling faces. Because there are a lot of family friendly options to choose from, it’s easy to spend hours upon hours searching each resort’s website and accompanying reviews for the best one. To make it easier, we’ve complied a list of the best family friendly hotels and resorts in the area. Though there are only 29 rooms to choose from, they are great for families in the sense that each room is styled to represent an apartment rather than a classic hotel room. Each room comes with a fully equipped kitchen which serves rather useful for families who don’t want to eat out all of the time. For even larger families, the resort provides a ‘Family Suite’ that comes with 2 bedrooms with the option of twin size beds. Noted as being on the quieter side of the island, it helps that there is a restaurant on-site, making the need to run into town for a bite to eat unnecessary and easier on families. But for those nights that parents do want to run into town without the kids in tow, there’s a resort babysitting service that can be utilized. Other big pluses are the on-site laundry service and outdoor pool. Due to the low price, this resort seems to stay booked up, which is a great sign. Located on a secluded beach away from the hustle and bustle, this small 20 room resort offers large, spacious rooms that fit large families perfectly- that is if you don’t mind paying the price. Each room offers an over sized bed, perfect for those who practice co-sleeping, a large bathroom and a TV. One thing that really sets this resort apart from others is the on-call nanny service. This means that if something comes up, you’ll be covered and won’t have to wait on an appointment for babysitting. There are also tons of activities for the kids to participate in including kayaking, snorkeling, swimming in the pool or ocean, playing on the beach and enjoying some of the resort’s on hand board games. Adding the cherry on top, this resort also offeres toys and children’s books. It’s obvious that Asya Premier Suites really goes out of its way to make sure that every member of the family has the best time possible. Though rates are higher than most other hotels in the area, they seem very worth it. 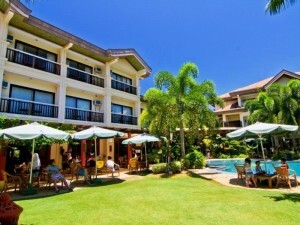 Noted as a very family friendly resort close to everything, the Best Western Boracay is one of the best choices in Station 2 for those who want to both keep their kids busy while being able to find activities for themselves as well within arm’s reach. Here guests will find 64 rooms in 6 different room categories, including a ‘Family Room’, making it easy to decide which is right for your group. Outside of the variety of rooms, families will also find a kids playroom filled with toys that should help to keep the children busy for a few hours. 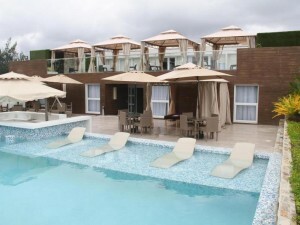 There’s also a outdoor pool on-site that has seen some pretty nice reviews from parents saying that their kids enjoyed it throughout the duration of their stay. The beach is also a short walk away, making it easy for parents to take their kids to the beach anytime of the day without having to struggle through town. A very small resort with only 8 rooms located on the beach and close to the D’Mall and area restaurants, families will find ample opportunities to explore and keep busy every day of their stay. Each room comes with free internet, air conditioning, a queen size bed and a single pull out bed and cable TV for those nights in. The resort itself offers babysitting which is great for those times when parents would like to take a shopping trip or enjoy a dinner out away from the kids. In addition, both parents and kids can enjoy some quality swimming ans snorkeling at the beach. Due to its central location on White Beach, there is ample opportunity to enjoy any of the area’s many water sports options, making for an even more exciting adventure that the whole family can enjoy. 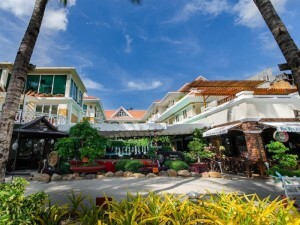 A standout hotel with some of the best prices for amount of quality in Boracay, the Boracay Mandarin Island Hotel is great for both romantic couples and families. Here you’ll find rooms that range from small and modestly decorated to some of the grandest on the island. Each of the 52 rooms come with a refrigerator, mini bar, free internet and little extras including bathrobes, plush comforters and slippers. Outside of the rooms, guests will find a fabulous spa that is considered one of the finest wellness centers in the whole of the Philippines. There’s also an Italian restaurant on-site that offers dishes suitable for both adults and children. In addition to the swimming pool, there is a children’s pool as well, offering a suitable and safe environment for the kids to play in while also allowing other adults staying at the resort to enjoy their own section of the pool. If traveling with messy kids or small children, you’ll find the on-site laundry service to be quite useful. For the location, amenities and room comfort level, this resort offers prices that are hard to beat. Right in the middle of it all, this 5-star resort is huge in size offering 285 rooms in 9 different categories, including a ‘Family Room’, and provides guests with tons of choices concerning activities and restaurants. Here guests will find 7 different restaurants that conveniently offer kid friendly menu options that have received high reviews. There are also several different kiddie pools situated next to the adult pools. If the kids grow tired of the pools, they can splash around in the swallow waters lining the beach or take a trip into town with the parents. The rooms are also kid friendly with the option of 2 single or joined beds instead of a queen sized bed, a TV and internet connection. Because of the kid tested and approved activities, this resort receives some of the best marks in reviews and is considered a great choice, especially for the price and location. 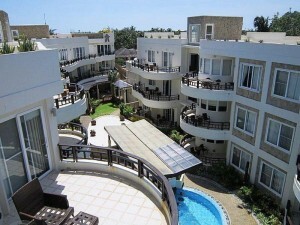 If you’re looking for a 4-star hotel that’s right on the beach and are willing to pay over $100 for a hotel room, you’ll find exactly what you’re looking for at the Boracay Uptown Hotel. Not only is the hotel conveniently located on the beach and close to area activities and restaurants but very family friendly as well. In fact there’s a family room for kids to enjoy their afternoon at and babysitting offered for those nights parents want to enjoy a meal alone. 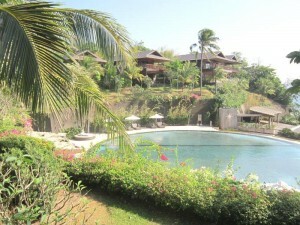 There’s also a private beach, beach soccer, beach volleyball, beach frisbee and more that the whole family can enjoy. Each room comes with 2 queen size beds which can be comfortably shared with little ones, a 32″ inch TV for those nights in and free Wi-Fi that is great for when the kids want to play some internet games before settling down to sleep. With a great location, strong positive reviews and comfortable rooms with a kid friendly atmosphere, this resort seems like one of the best options out there. 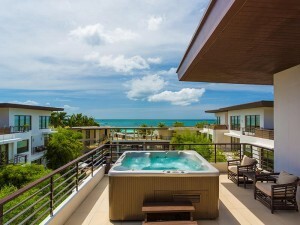 For those not afraid of spending more on a resort room, there’s the beautiful, slick and accommodating Discovery Shores Boracay which also happens to be very friendly to families. Here you’ll find 88 rooms to choose from, some even being 2 room suites which offer more room for little ones to run around. Each suite, whether 1 room or 2, offers 24 hour room service, a 32″ TV, minibar, coffee maker and an iPod dock. Outside of the rooms guests will find lots of nice amenities including a pool, gym, library, spa and perhaps most importantly a room devoted to kids called the Sandbox. Here children will find all sorts of toys to keep them entertained. With strong reviews by parents, this resort seems like a great fit for those who are fine with paying a higher nightly rate. This family friendly resort is actually family run and offers its guests 21 different rooms to choose from including the popular family room. Each room is 4-star rated and features air conditioning, hot and cold water, cable TV and a refrigerator alongside a minibar. There’s also internet access which is great for kids who like to wind down with internet game before bed. On-site there’s also a bar and restaurant as well as many other options nearby due to the resort’s great location. There’s also a laundry and babysitting service as well as water sports nearby. The beach is also a short walk across the road, great for families with water babies. Reviews are strong with many guests repeatedly coming back for second and third stays.